With Easter behind us and the clocks now having moved forward an hour bringing us lighter evenings we can dare to hope that winter is finally over. The summer vibe is certainly evident on the high street and on the catwalks. 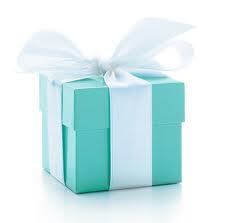 Tiffany blue is the colour to be seen in this season. Tiffany and Co established in 1837 as a stationery and fancy goods emporium, first used this blue colour on their catalogue in 1845; before its focus became jewellery in 1853. Tiffany now owns the copyright, meaning that no one knows the exact shade. Many designers have certainly been attempting to emulate it though including Oscar de la renta. If your finances like mine don’t stretch to designer, never fear as the high street has been keen to get in on the act. 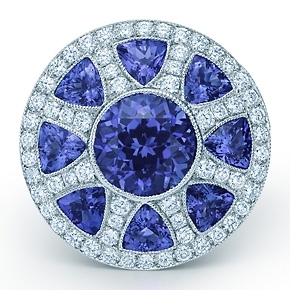 Tiffany is seen as the epitome of luxury and as such often features on the silver screen. I hope wearing the colour will induce the same luxe effect and as such couldn’t resist this dress from Boohoo. 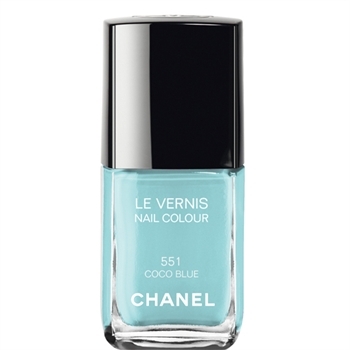 If you prefer to wear the colour more subtly, why not invest in a nail polish; Chanel do a beautiful one. 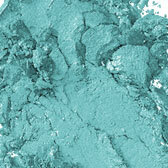 Perhaps you would prefer to use the colour on your eyes; pictured shade is Mac Aquadisiac or just a flash of the colour with a fifties style pair of heels from LK Bennett. Now whilst on the subject of Tiffany’s they collaborated with Catherine Martin to supply the jewellery for The Great Gatsby film, which is released in May. This Jazz age glamour collection allows us all to have a piece of the roaring twenties which I touched on in ‘memories of my Grandma’. The collection mainly contains pearls black onyx and my favourite the sapphire. I picture here a few of my favourites but visit their site to view the full collection. So whether you have someone who lavishes jewellery on you or are less well off, we can all have a little something from Tiffany’s this season. 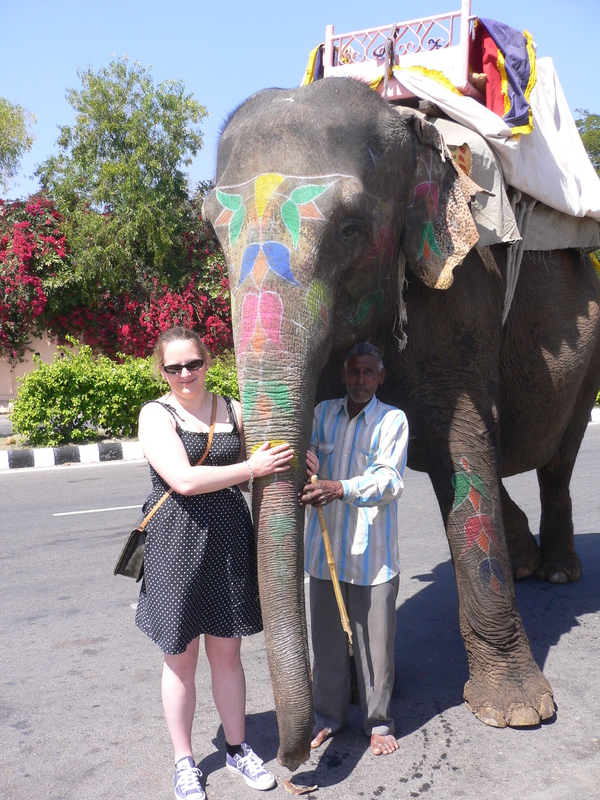 At the end of February, I finally achieved an item from my 30th Bucket List and flew out to India. It was a wonderful escape from the miserable and long drawn out winter we are having in the UK. The plane touched down in the heat of Delhi airport and we were ushered by our guides to a coach which dropped us at the Taj Hotel New Delhi; after a chaotic drive through the streets of Delhi where knowing how to use your horn appears to be the only prerequisite for a driving license! 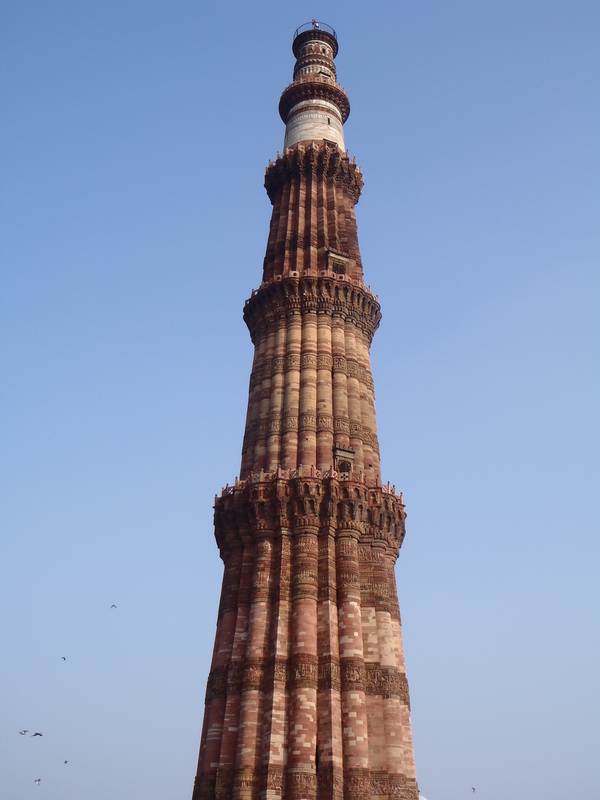 No time to relax in the beautiful, 5 star luxury of a hotel; we were whisked off to look at the Qutub Minar – the tallest minaret in India at almost 73m, which began construction in 1193 and had bits added by various Sultans. In the complex also lies the tomb of Iltukmish who was the first sultan to be succeeded by his daughter – perhaps the start of girl power! We were taught the first lesson of survival in India; when crossing the road, whatever you do, don’t look! Curry was not dinner on the first night much to my surprise – rather a Vietnamese meal at one of the hotels restaurants. The next morning we rose early and took the Shatabdi express train from New Delhi station to Kalka. The station was a hub of activity with people carrying large amounts of luggage on their heads, stray dogs, beggars and people offering to clean your shoes for money. I couldn’t believe the way people just wander across the tracks. 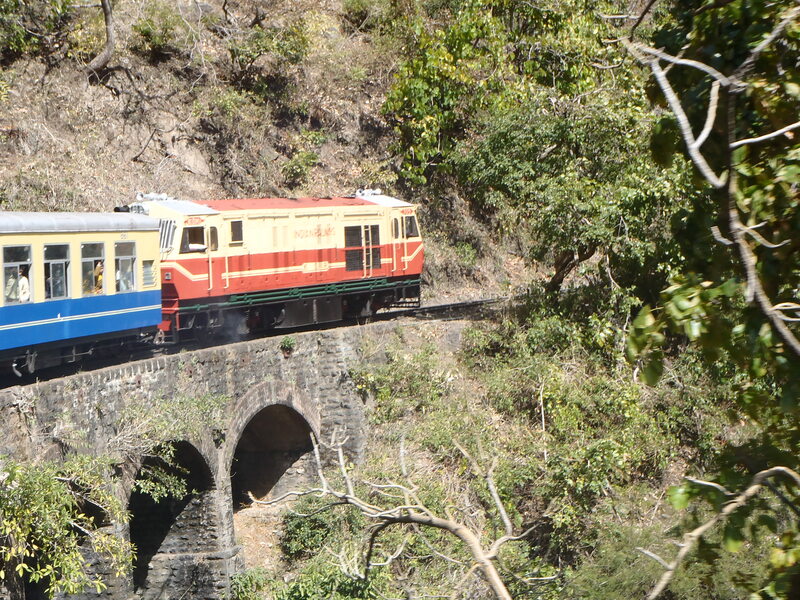 Upon arrival at Kalka, we transferred to the heritage toy train which is a narrow gauge railway that winds its way around the Himalayas on its assent to Shimla. 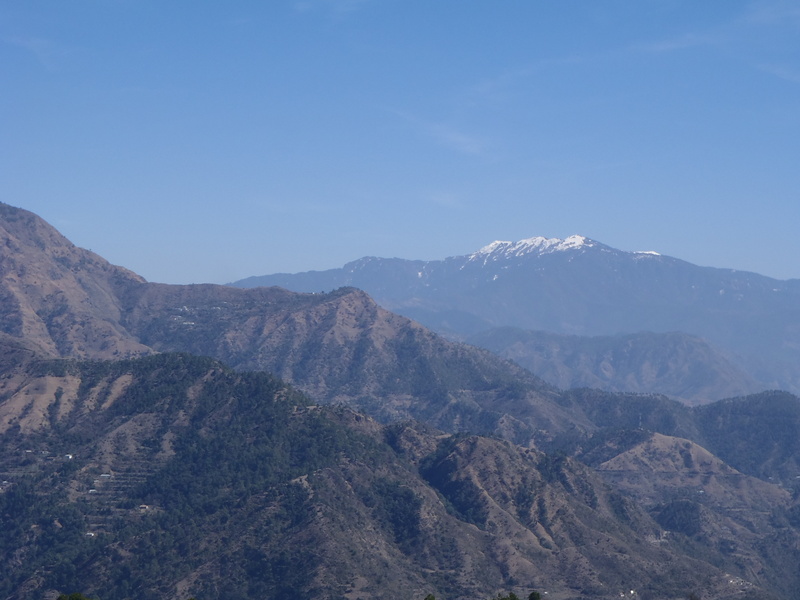 Shimla is a small mountain town which was used by the British to shelter from the heat of the summers in India; it certainly felt cooler than the heat of Delhi and we even spotted a distant mountain with snow on the top. Shimla takes its name from the goddess Shamla Devi and was Shamla, then becoming Simla, until the compromise of Shimla was settled on. This was to be our base for the next 3 nights. 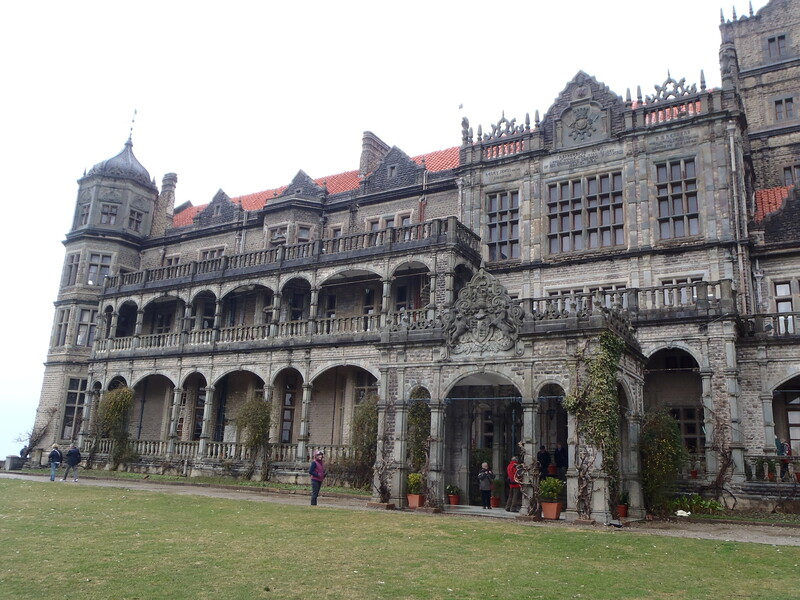 We visited the Viceregal Lodge, which is the only building in Shimla to occupy its own hill. Inside were photos and artefacts from the time of British rule in India including the partition table – where Lord Mountbatten signed the partition agreement at the end of British rule in India in 1947. 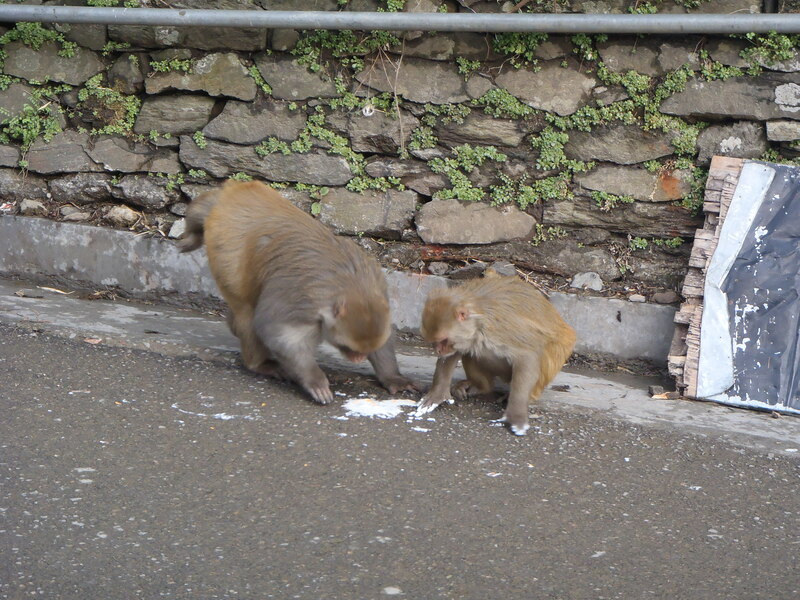 Shimla is famous for monkeys and you see many of these as you wander through the streets. 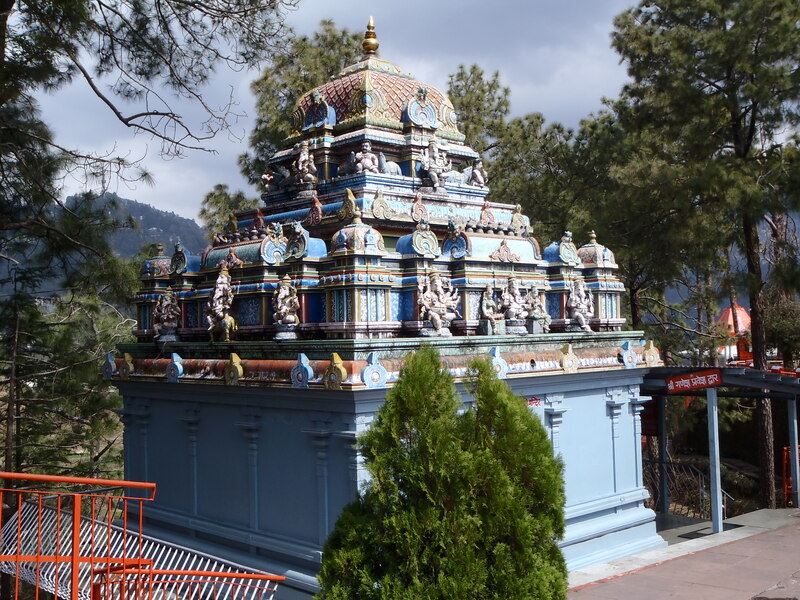 We were then taken to the Sankat Monchat Hindu temple which was very beautiful and a spiritual place. Outside is a stall selling offerings relating to the 5 elements which Hindu’s offer to the gods. Whilst in Shimla we also visited the Gaiety Theatre where the British would put on plays, scandal point where people have long met to gossip and a legacy of the British Raj; Christ Church – the second oldest church in Northern India. I lit a candle here to remember my Grandma. We even had a claim to fame as we were asked to walk down the street as extras in a Bollywood movie! 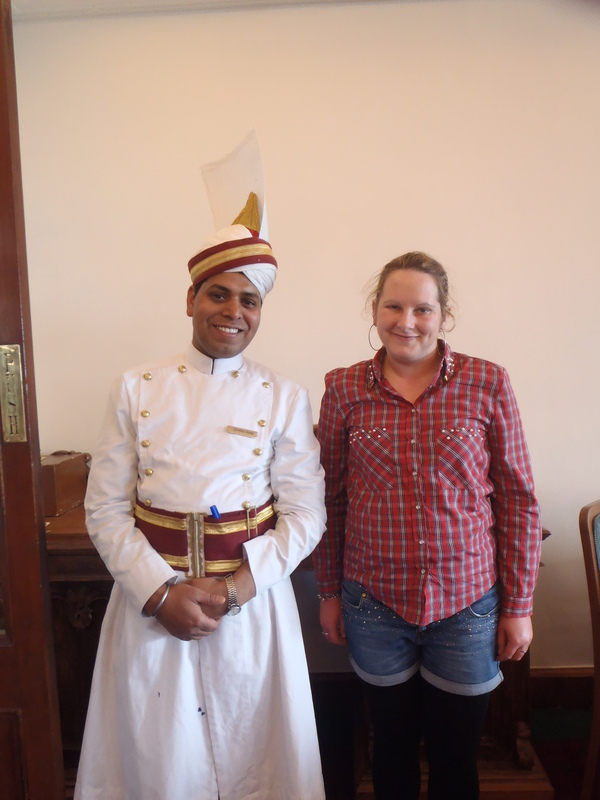 I was unfortunately struck down with Delhi belly on our final day in Shimla so did not get to partake in optional activities however I did take a dip in the luxury pool of the hotel and my other half and I engaged in a few games of chess – fitting as chess was invented in India. Slowly we were then woven back down the Himalayas to Kalka on the toy train once again; through pine trees, cactus and red rhododendrons (apparently the only non poisonous form of the flower which they use in jams). It is heartbreaking to see the poverty on that journey with people living in no more than a shack juxtapositioned against the wealth of the hotels we stayed in. People were by the line side relieving themselves because of the total lack of sanitation and washing was hung over fences to dry. Despite this all the Indian people were accepting of their lot and the friendliest and most welcoming people I had ever met. At Kalka we rejoined the Shatabdi Express and returned late at night back to Delhi. 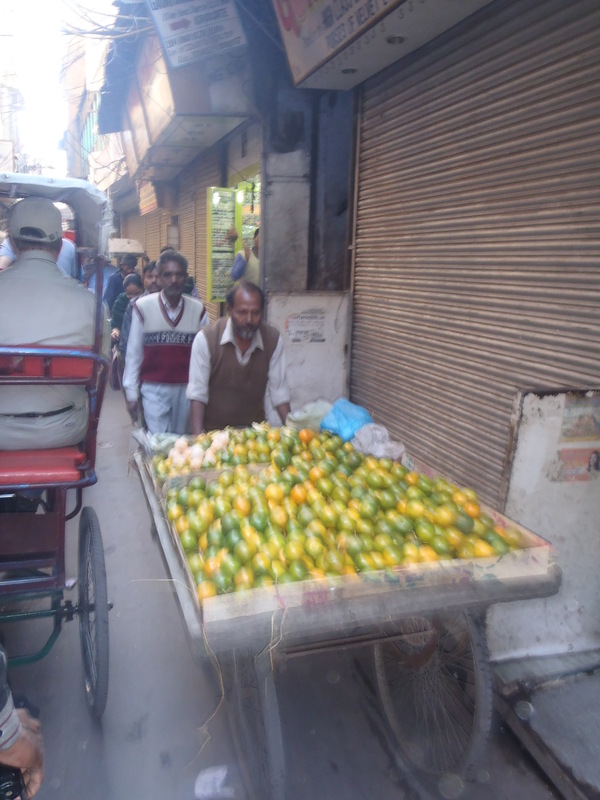 Our next trip was into Old Delhi. This is a complete contrast from New Delhi with dusty tracks rather than newly built highways. We visited the Jama Masjid mosque which is the largest, most well known mosque in India, before boarding a rickshaw for a hair raising ride around the narrow shopping streets which engulfs all of your senses with the beautiful coloured sari shops, carts stacked with fruit and vegetables, the smell of food stalls and the glittering bangles catching the sun. 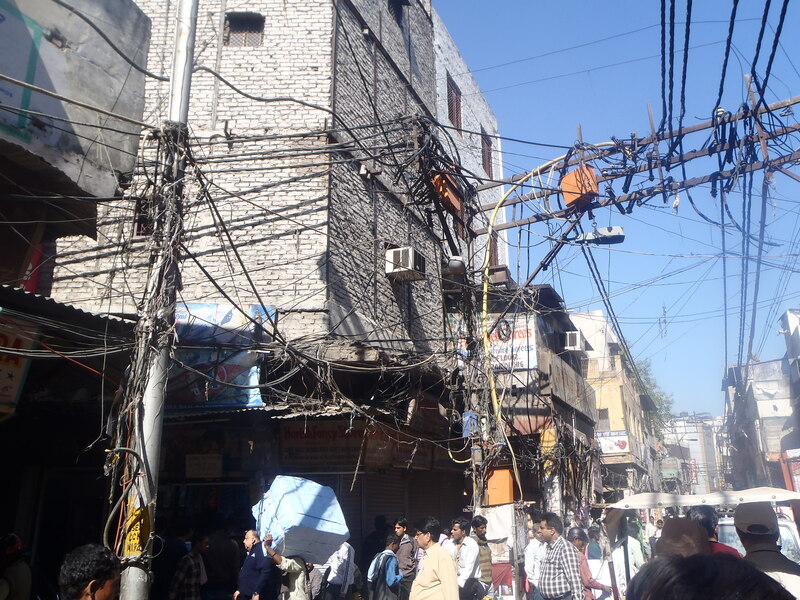 The wiring is unbelievable but somehow the chaos works just as it does on the roads. We later went to the Emperor Humayan’s tomb which is an early example of Persian influenced architecture and a precursor to the Taj Mahal. 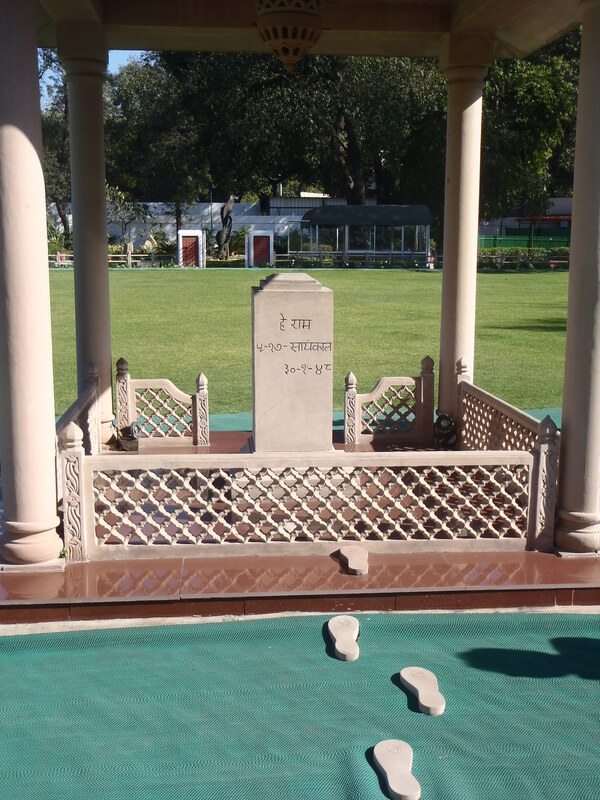 The day finished with a trip to Gandhi Smriti which is a museum dedicated to Gandhi and also where he spent the last 144 days of his life. Distressingly, his path to the place he held prayer and where he was shot is marked by footprints. The following morning another early start saw us board the Shatabdi express train from New Delhi to Agra. 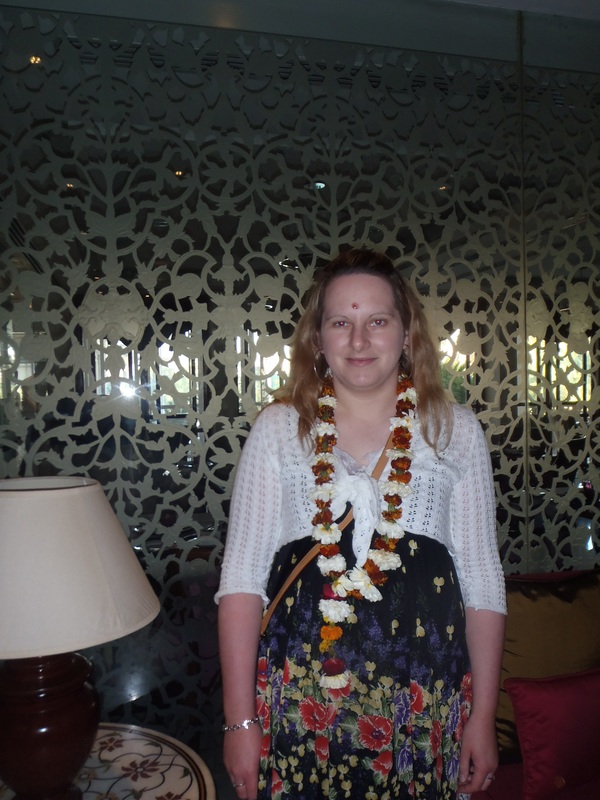 We were welcomed at the hotel in the traditional way with a red spot put on our heads (symbolising God’s blessing) and a flower garland draped around us. We indulged in breakfast at the hotel where I tried a traditional Indian breakfast delicacy before being taken to visit Agra Fort. 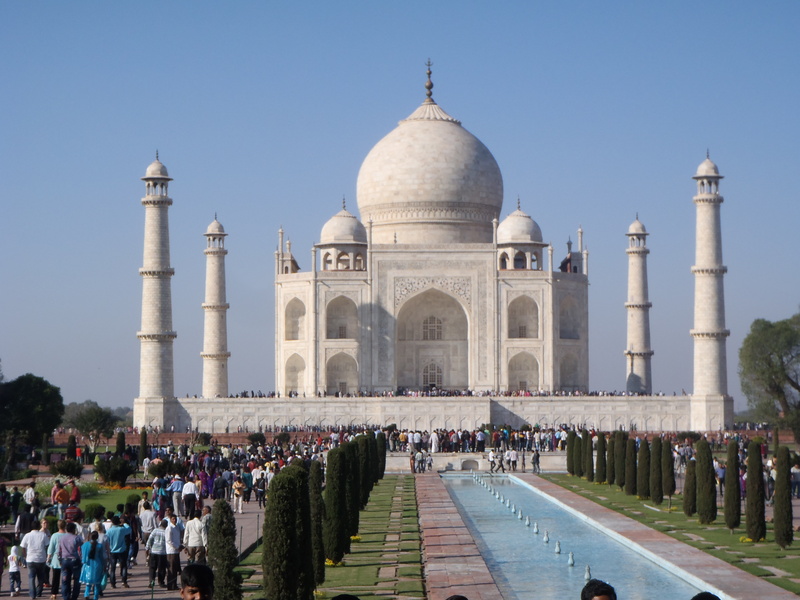 The afternoon saw us visit the world famous Taj Mahal which some claim to be one of the Seven Wonders of the World. It is breathtaking and pictures just don’t do it justice. That evening back at the hotel, I couldn’t resist consulting a palmist. It was an enlightening experience in that I was told I will live until 87, get married at 30, have a boy at 32 and a girl at 35. It will be interesting to see how much of this comes true. 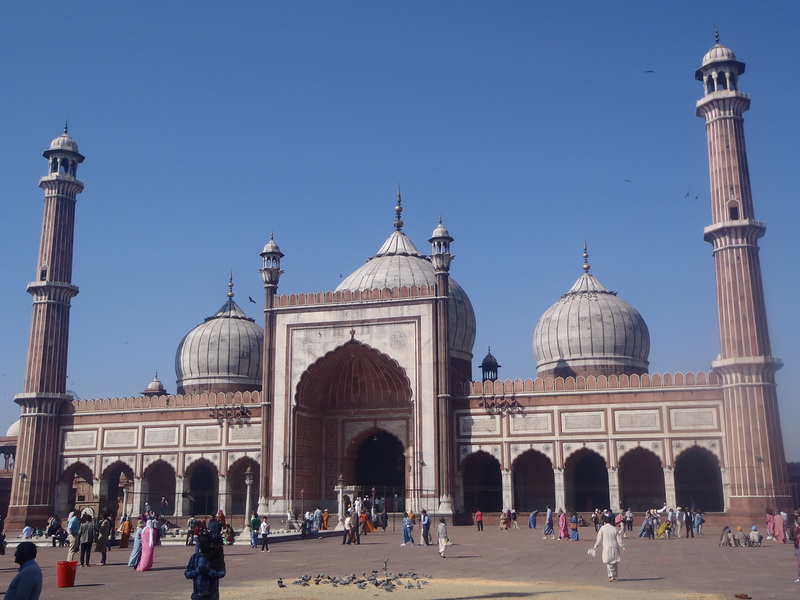 We only stayed the one night in Agra and we were then on the road travelling to Jaiphur – the pink city via Fatehpur Sikra – founded in 1569 by the Mughal emperor Akbar. We had 3 nights staying in Jaiphur at the luxury Taj Jai Mahal Palace Hotel. We visited the Palace of the winds built in 1780 which is just a facade from which women of the Harem could watch the town life from. 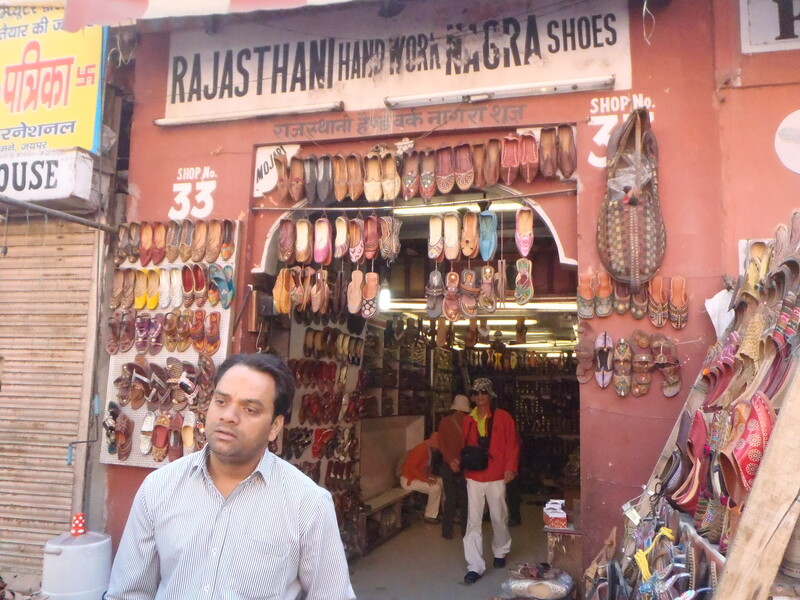 Opposite this I found my own spiritual place – a shoe shop! 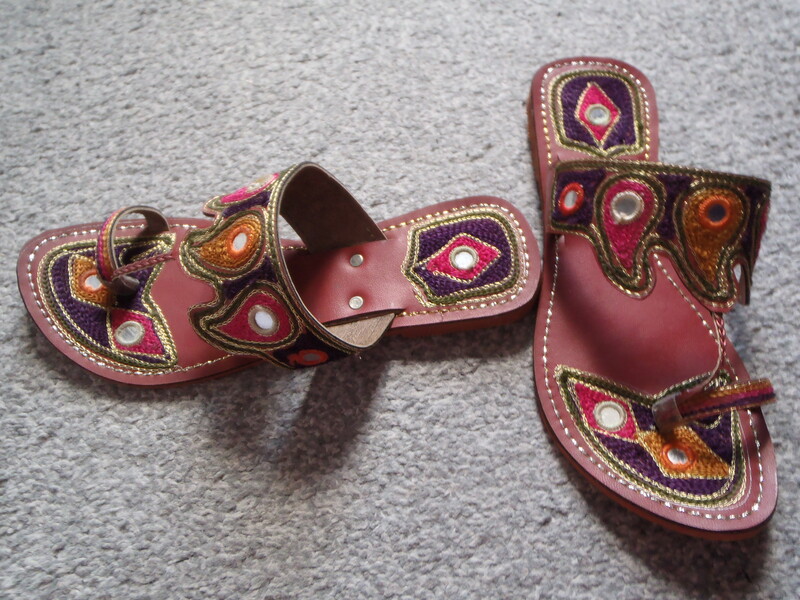 I bought a gorgeous pair of flip flops. We were transported up to the Amber Fort by decorated elephants which were the highlight of my trip given my fascination with the animal. I also was lucky enough that when we stopped for a photo opportunity of the palace on the lake, an elephant was passing and I got to hug its trunk. The colours of the Saris in Jaiphur are a sight for sore eyes; legend has it that these wonderful saris are a consequence of potatoes not growing in Jaiphur and therefore women devoting their time to the textiles industry. 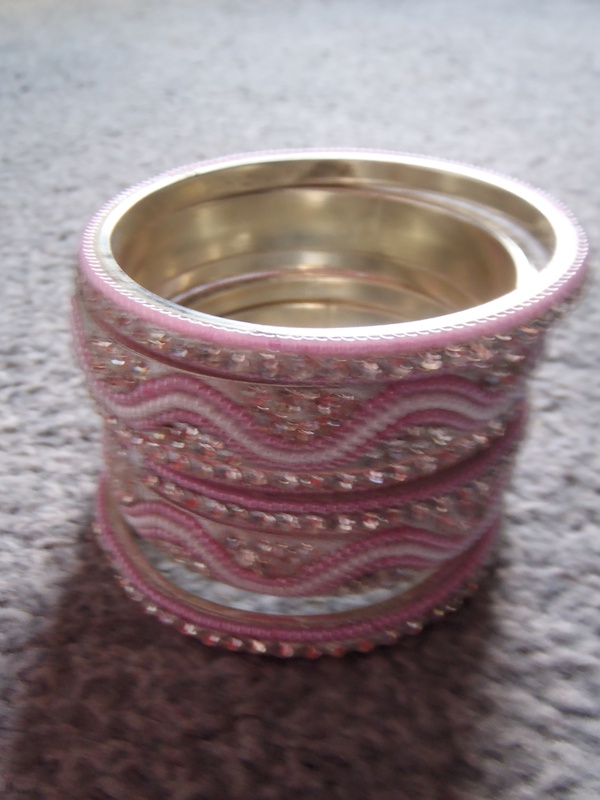 The shopping opportunities were great in Jaiphur and I couldn’t resist some of the gorgeous bangles, not to mention a wonderful white tunic. 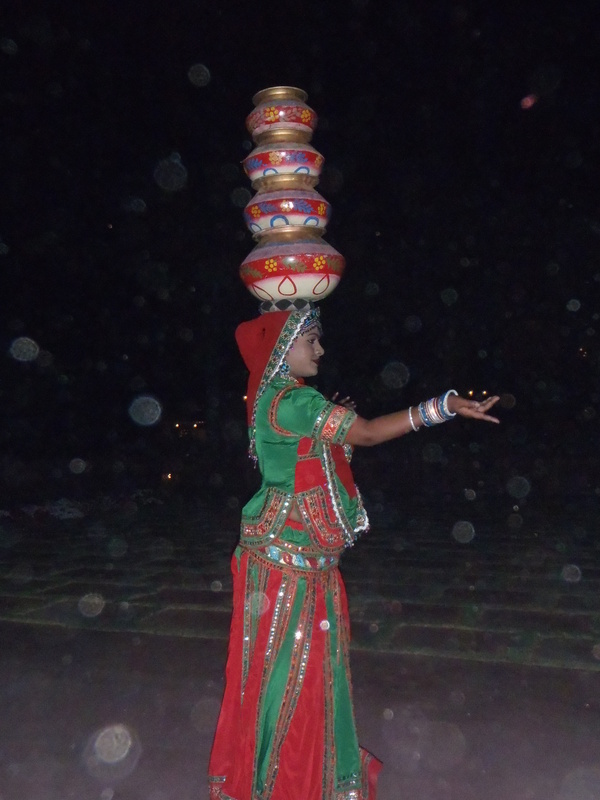 One evening we were treated to entertainment whilst we ate in the form of Indian folk dancing of which we were also invited to take part in at points. 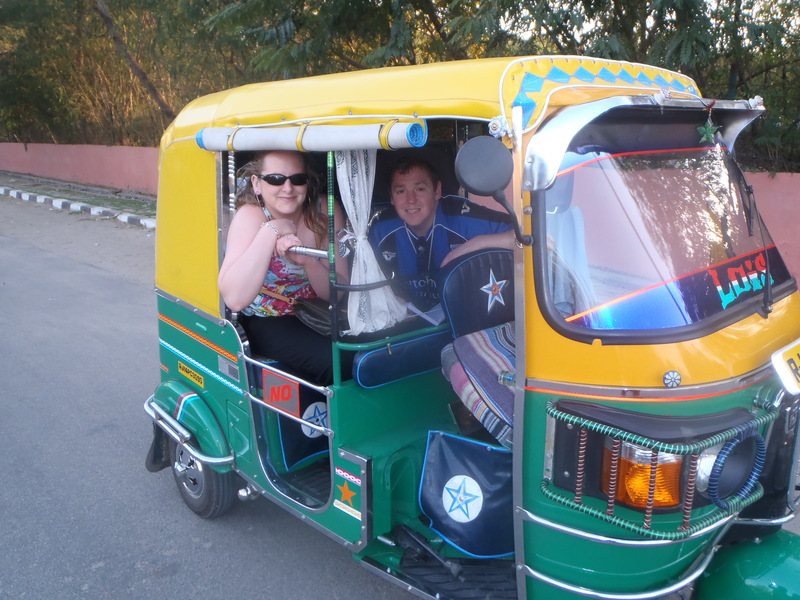 My other half and I were desperate for a ride on a tuk tuk and we got this opportunity whilst in Jaiphur and the very knowledgeable, helpful driver took us to see the monument of the last King of Jaiphur. All too soon the last day of the holiday dawned and we were taken back to Delhi airport by coach to join our flight back to the UK. On arrival back we craved fish and chips and think we will have a break from curries for the foreseeable future! A true holiday of a life time to a cultural melting pot of religions and at least 24 official languages. 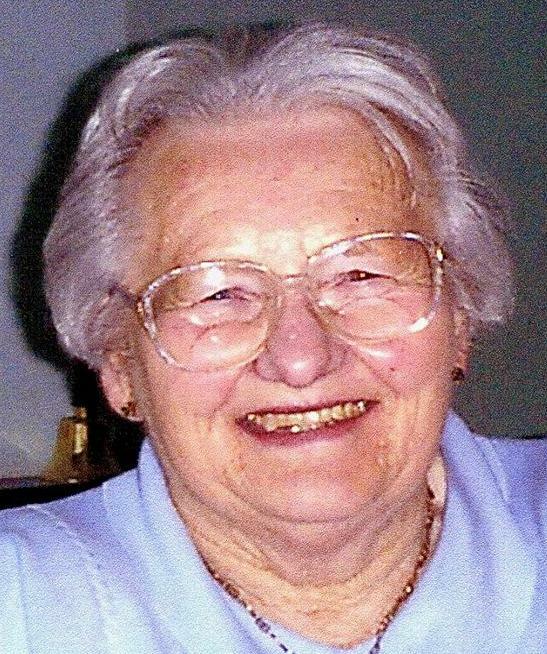 In February I had the very sad news that my paternal Grandma had died. At 87 she had lived until a good age, however I somehow always thought she would make her 90s at least. We were extremely close, not least as I was born 8 days after her husband, my Granddad passed away. This blog is dedicated to her. 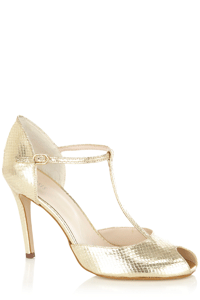 These nineteen twenties-esque shoes are on my wish list from Oasis. During her childhood years I recall my Grandma saying that she would see a dress in a shop, her Mum would go and look at it and then make her the same thing. I wish I had such dress making skills. 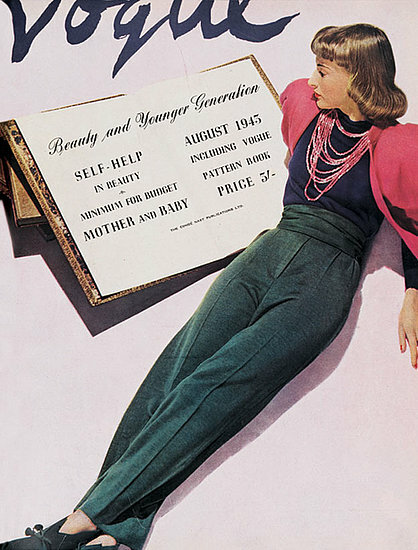 Grandma would have become a teenager just prior to the start of World War 2. Through the war years, many people in the UK struggled financially and rationing was brought in. Clothes were rationed from June 1941 until March 1949 due to shortages in materials. Women still however paid attention to fashion and those who could not get silk stockings from an American troop would stain their legs and draw a black line up the back for a seam to give the allusion they were wearing them. Tea dresses were the dress of choice and shoes were often the lace up variety as they were more practical. Make do and mend was the motto and the reason for patches on elbows of jumpers becoming fashionable. Magazines would advise on how to update existing clothes for the new season. Square shouldered jackets were popular, emulating service uniform and because many women entered jobs previously done by men often trousers and dungarees and headscarves were worn as these were more practical. In occupied France, the Germans tried, unsuccessfully to move the fashion centre to Berlin causing many couture houses to close. Coco Chanel later benefited from having a Nazi lover. In the issue of vogue (front cover of which is seen below) there was an advert from Chanel informing readers of the absence of their scent until after the War but continued production of their lipstick and powder. 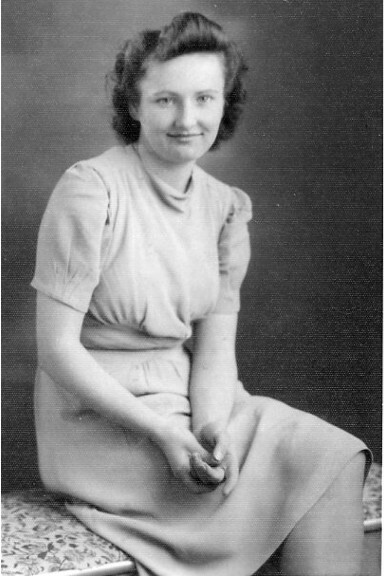 The victory roll was a popular style for hair at the time and you can see Grandma with this in the below photo aged approximately 19. 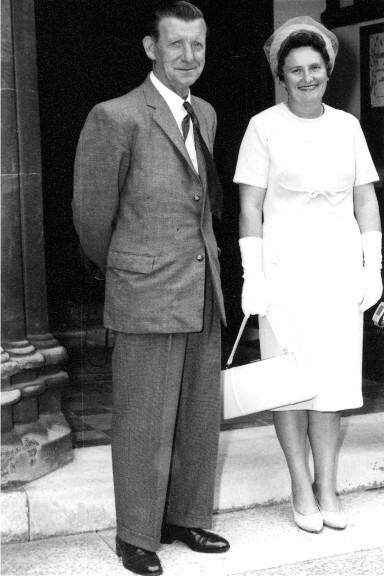 The government produced strict guidelines on clothes; skirts were shorter, waistlines higher and no pleats and minimal hems and fastenings. Patterns had to conform to this too. Red lipstick was also preferred by many women and women felt it was their duty to keep men’s spirits up by still looking their best. Movie stars in 1940s were Humphrey Bogart, Rita Hayworth, Judy Garland and Ingrid Bergman. 1942 saw the release of Casablanca which was an immediate hit. This is my Grandma in the 1960s. This style of dress with the gloves was the height of fashion at the time. I have a very similar vintage handbag to the one in the picture only in black. Grandma was as my uncle said in his tribute ‘born to serve.’ She was of the generation of women who waited on their husband and children’s every need. In some respects however she was also a modern woman often holding down a job as well as bringing up a family. Grandma loved her garden so I had a wreath made in the shape of a watering can. 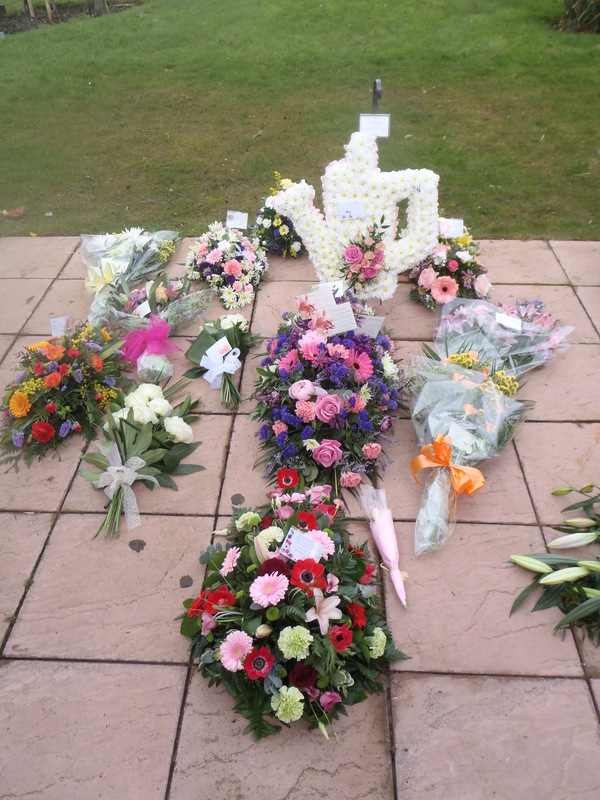 The number of people at the funeral was wonderful and showed just how loved a lady she was. I also read a tribute and the poem ‘do not stand at my grave and weep’ which Grandma had requested I read. Grandma you were like a second Mum to me and I valued our relationship so much. You will be greatly missed. I hope you are now pain free and are with Granddad and your sister Gladys. Rest in Peace Joyce.